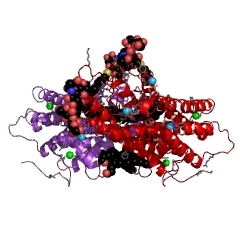 We are positioned with various cell and molecular biological tools to; characterize the structure and function of orphan GPCRs, investigate the relationship of these GPCRs to certain animal and plant processes and utilize the knowledge gained to design tools to enhance human health and plant productivity. Characterization of small signaling molecules: Hand in hand with the study of receptors goes the study of ligands that activate these receptors. We are positioned to investigate the role of small signaling molecules in the control of GPCRs. Further study of the mechanism of action of these compounds will lead to the development of tools to address human health conditions such as: Parkinson’s and Alzheimer's disease as well as plant abiotic stresses such as drought.